MCS Digital began in New Zealand in 1992 as an EDACS Radio Network Operator and Service Provider, offering the first digitally trunked radio solutions to NZ customers. In 2002, we expanded to become one of the most successful Motorola Premier dealers in NZ. We have won Motorola NZ outstanding Sales Achievement awards for 2010, 2013, 2015 and 2017. Our team is experienced in designing and delivering the very latest digital radio systems as well as the tried and proven. 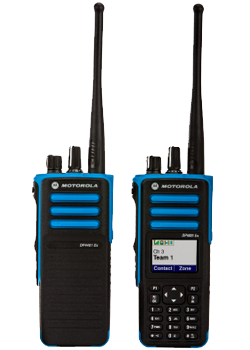 We have recently completed the design, build and implementation of a 13 site Digital MotoTrbo DMR IP connected radio network in Samoa for use by Emergency service organisations including Police, Fire, Disaster Management Office, Red Cross, and others. Stage two of the Samoan project involved the design, build and implementation of a Tsunami Siren activation system using the inherent data capabilities of MotoTrbo DMR along with a SMARTPTT application. MCS has a fully equipped radio communications workshop staffed with a technical team with the expertise to provide quick and efficient radio installation and repair services at MCS or onsite. Alex, Allan, Peter and the team have 50 years radio industry experience between them and are passionate about the benefits that "open channel instant access" radio communications provides.